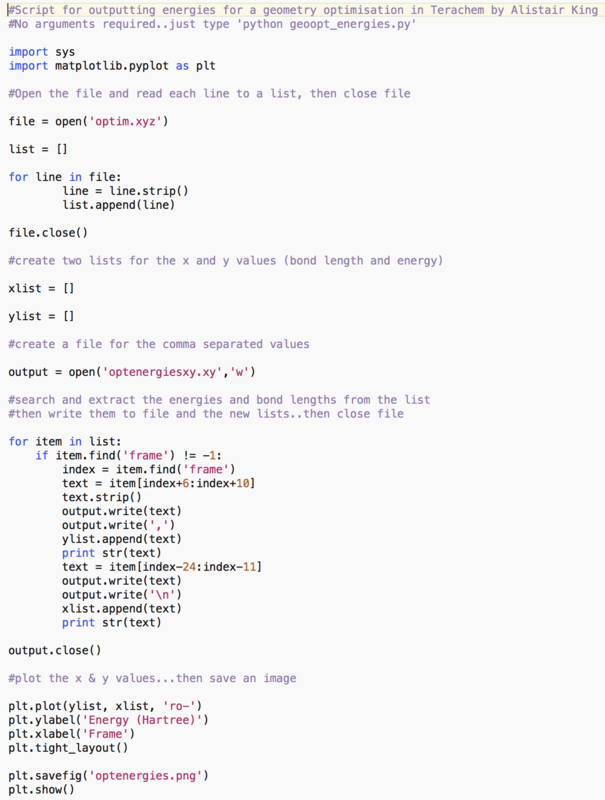 This python (python.org) script (geoopt_energies.py) can be used for parsing the geometry.xyz ouput geometries (typically optim.xyz) from a geometry optimisation in Terachem (petachem.com). 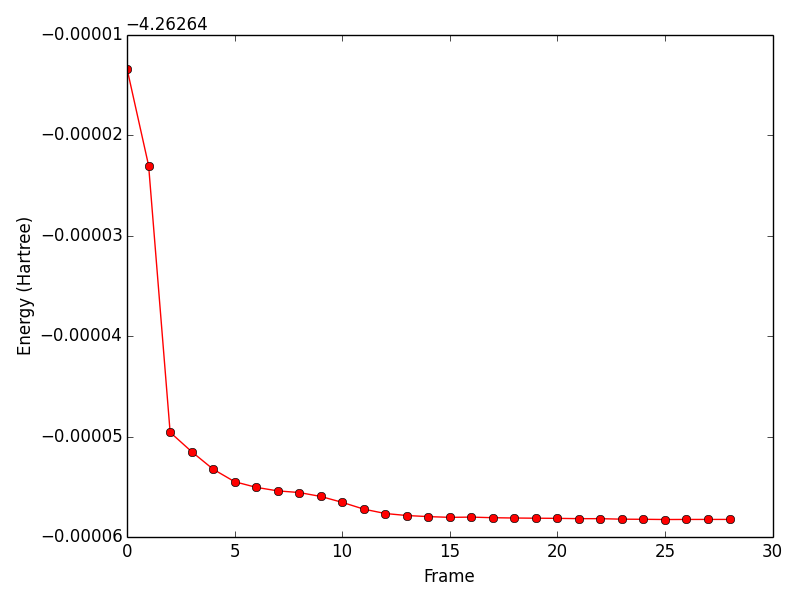 It extracts the energies (in Hartrees) for each frame from the xyz file and plots them using matplotlib (matplotlib.org), for quick viewing. This entry was posted in News, Scripting by Alistair King. Bookmark the permalink.